A sense of sailboat chic informs this international brasserie in Old City. Complimentary hors d'oeuves: Mini Patou Burgers with Gruyere Cheese, Assorted Wood-Burning Oven Pizzas, and Vegetarian Spring Rolls. Bring your friends and pass the word! Please RSVP to rsvp@phillytigers.com. Feel free to attend without RSVP, but we would like to have approximate numbers to help Patou accommodate us. The Princeton Club of Philadelphia has Organized an Ivy League Plus Event for Young Alumni. Delaware Valley Young Alumni will be Going Out to the Old -- NEW -- Ballpark! Supplies are limited, so get your ticket soon! Can it really be mid-August already? At least that means it's time for another Young Alum Happy Hour! 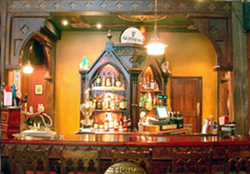 Join us at Fado in Center City Philly Thursday, August 26 at 6 PM for some fine Irish brews. Bring your friends and ideas for Young Alum events for the coming semester. This event was arranged by the Princeton Club of Philadelphia... hope to see you there. Our October event was a great success, so join us again for another Young Alumni Happy Hour! WHEN: Wednesday, November 17, 5:30 to 8:00 p.m.
RSVP appreciated, but not required, to rsvp@phillytigers.com. Spread the word! WHEN: Friday, Jan 21, 5:30 p.m. - 9:00 p.m.
All Young Alums, it’s that time of year again to reminisce with your fellow grads of the ‘tute! If the time and place look like a mistake, it isn’t. During the Happy Hour (see above), John Gavenonis, the Club’s Young Alum Chair, will be on hand to lead the activities and help you reminisce on IAP at the ‘tute. Last year’s event was a blast. This year will be even better! This month, in lieu of the regular MITDV Young Alum Happy Hour, we've scheduled a joint event with the Philadelphia Museum of Art. The description is provided below. Please note that there is a $10 admission fee and that reservations are encouraged. Thanks to Irene Kotok (MIT) and Meredith Quirin (PMA) for arranging this invitation. Separate tickets for the Dali exhibition are available. Join young professionals from throughout the Philadelphia region to celebrate the beginning of a weekend on Friday, April 8 from 6:30 - 8:30 p.m. at the Philadelphia Museum of Art. Whether it's winding down a hectic week or kicking off the weekend's activities, this event promises to be a night filled with networking opportunities, fun and entertainment. For just $10 and an opportunity to "do" happy hour in one of the city's finest venues, you just can't miss this opportunity. Come alone or with a group of friends and meet others who are also interested in expanding their professional and social networks. While jazz musicians play in the Great Stair Hall, young professionals will mingle on the Museum's East Balcony and enjoy complimentary hors d'oeuvres and a cash bar. This evening highlights the Museum's permanent collection and guests are invited to enjoy the Museum's galleries. Those interested in attending the Dali exhibition must purchase tickets in advance for an additional fee through the Museum's Ticket Center (subject to availability). The event is hosted by the Young Friends of the Philadelphia Museum of Art. To RSVP for the event call the Museum's Ticket Center at (215) 235-SHOW. Space permitting, tickets for the networking event will also be available at the door. For more information about the Young Friends, please visit www.philamuseum.org. This event is sponsored by Social Philly (www.socialphilly.com). WHEN: April 12, 2005, 7:00 p.m. - 9:00 p.m.
RSVP: Point your browser to http://www.phillytigers.com/april122005.htm to order tickets. Space is limited, so sign up today! It's back! This year marks the third annual Philly Young Alumni Wine Tasting. 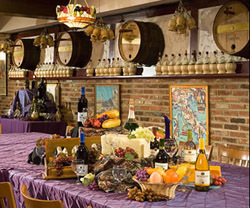 Join us to explore the Wines of Australia with the Wine School of Philadelphia. Are all wine gurus obnoxious snobs? Is it too much to ask for a wine speaker to be smart, funny, and dynamic? The answer is no. Keith Wallace and his staff at The Wine School of Philadelphia run fun and informative wine tastings that crack open the mystery of wine. Their wine events are in the truest sense a study in pleasure. The event will begin with a pithy introduction to the art of tasting wine, followed by a tasting of eight of the top wine picks from Australia. During the hot summer, come and chill at an Ivy+ Young Alumni Happy Hour. "A sense of sailboat chic informs this international brasserie in Old City." Bring your friends and pass the word! to help Patou accommodate us. Thanks! Free and Open to the Public!!! RSVP by November 4 to Carla Watts (cwatts@chemheritage.org or 215-873-8299). Parking is available at the Bourse Garage on 4th Street (between Market and Chestnut Streets near the Ritz Theater). Parking validation provided on request. Dr. Marye Anne Fox, a nationally known chemist and academic leader, was named the seventh chancellor of the University of California, San Diego in April 2004 by the UC Board of Regents. Previously, Fox was chancellor and distinguished university professor of chemistry at North Carolina State University, a post she held since 1998. Before going to NC State, Fox spent 22 years at the University of Texas, where she advanced from assistant professor of organic chemistry to vice president for research and held the Waggoner Regents Chair in chemistry. Fox, 57, earned a bachelor's degree in science from Notre Dame College, a master's degree in science from Cleveland State University and a Ph.D. from Dartmouth College. She is an elected member of the National Academy of Sciences and has served on its executive committee, and is a fellow of the American Association for the Advancement of Science and the American Academy of Arts and Sciences, and an elected member of the American Philosophical Society. Fox has received numerous awards, including the Charles Lathrop Parsons Award for 2005 from the American Chemical Society in recognition of outstanding public service. She has received a long list of research awards from professional societies in the U.S. and abroad. She also has been honored with numerous teaching awards, as well as the Monie Ferst Award, a national award recognizing outstanding mentoring of graduate students. More than 50 students have received advanced degrees under her supervision, and over 100 postdoctoral fellows and sabbatical visitors have worked with her. Fox also serves on numerous boards, including the President's Council of Advisors on Science and Technology (PCAST), where she chaired the Subcommittee on Infrastructure for the 21st Century in 2003; the National Academy’s Government-University-Industry Research Roundtable, which she co-chairs; the National Association of State Universities and Land Grant Colleges (NASULGC); and a number of corporate boards. Ever question your career path? Wish that you could learn from the insights of those who have already done so, and hear about what they have gained and given up, and what they have learned? Please join us on Wednesday, March 15 for a special Young Alumni Seminar, sponsored by the MIT Alumni Association and the MIT Club of Delaware Valley. Young alumni are invited to enjoy a lively panel of distinguished MIT alumni as they discuss "Infinite Possibilities: Careers After MIT." It is also your chance to rediscover your connection to the Institute and your community of young alumni in the area. The panel of distinguished MIT alumni: Bradley Layton '92, Assistant Professor, Drexel University; Julie S. Massey '88, Physician, Einstein Neighborhood Healthcare; and Richard Olson '78, VP & General Manager, DuPont Titanium Technologies, will present their unique perspectives on career trials, tribulations, and transitions. The event will begin at 6:30 p.m. with hors d'oeuvres and hosted drinks, followed at 7:30 PM by the panel discussion. There will be plenty of time for questions and answers. The event will conclude at 9:00 PM. Young Alumni hosts include: Robert Barrimond '94, Michelle Evans '99, John Gavenonis '98, Kris Harper ME '02, Fred Huang '01, Irene Kotok '97, Daniel Lowrey '02, Peter Skillings GM '98, and Robert Tunick '00. If you have questions, please contact Kim Cole at the MIT Alumni Association at youngalumniseminar@mit.edu or 617-252-1149. 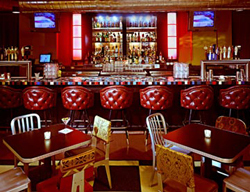 Join fellow Young Alumni for a Happy Hour at Continental Midtown in Philadelphia. Join other Young Alums for the season's first Happy Hour! Join other MIT Young Alums for another Happy Hour! This Thursday we'll be meeting up at Strikes Bowling Lounge, where they have food, drinks, and bowling too. Join other MIT Young Alums for another Happy Hour! Gabriel Weinberg will host this Happy Hour at Kildare's in King of Prussia. For more information, you may contact him at yegg@alum.mit.edu. To make suggestions for young-alum events, contact the Club's leader of Young Alum programs, Dan Lowrey, e-mail: lowcal@alum.mit.edu. 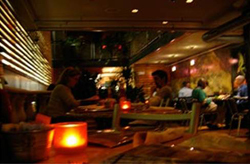 Join other MIT Young Alums for another Happy Hour -- at the Elephant & Castle. 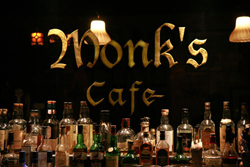 Arrive before 7 PM for $4 martinis and $2.50 pints. 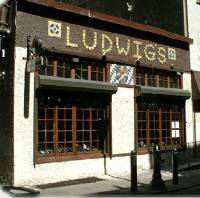 Gabriel Weinberg will host this Happy Hour at Kildare's in Manayunk. For more information, you may contact him at yegg@alum.mit.edu. Clifford Choute '04 will host this Happy Hour at the Irish Pub in Philadelphia at 1123 Walnut (note that there are two Irish Pub locations on Walnut Street). For more information, you may contact him at choute@gmail.com or 617-312-3316. We'll be having young alum (MIT10) happy hour events on the first Wednesday of each month for the rest of the year. Join other MIT Young Alums for another Happy Hour -- at Coyote Crossing in Chonshocken. NOTE CHANGE IN DATE TO THURSDAY NOVEMBER 8 !!! Join your fellow young alums for free appetizers, cheap drinks, and great conversation at the "oldest continuously operating Philly saloon." 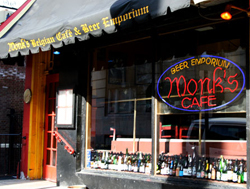 Cliff Choute '04 will host this Happy Hour at McGillin's Olde Ale House in Philadelphia. For more information, you may contact Cliff at choute@gmail.com or 617-312-3316. Join your fellow young alums for free appetizers, great beer selection, and good times at Ten Stone. Cliff Choute '04 will host this Happy Hour at the Ten Stone Restaurant and Bar in Philadelphia. For more information, you may contact Cliff at choute@gmail.com or 617-312-3316. Cliff Choute is our MIT coordinator for this event. For more information, you may contact Cliff at choute@gmail.com or 617-312-3316. Join your fellow young alums for free appetizers and good times with other alums. Cliff Choute '04 will host this Happy Hour at the Tír na nÓg in Philadelphia, claiming to be the #4 Irish bar in the U.S.
Join other MIT Young Alums for another Happy Hour -- at the Fox and Hound Pub & Grille in King of Prussia, PA, in the KOP Mall area. Join your fellow young alums for free appetizers, cheap drinks, sports and great conversation at Roosevelt's Pub in Philadelphia. Come before 7 to catch a great special, and expect lots of sports on from 7 to 9! Cliff Choute '04 will host this Happy Hour -- for more information, you may contact Cliff at choute@gmail.com or 617-312-3316. Join MIT young alums from around the Delaware Valley as they take part in our Volunteer Day at the Francisvale Home for Smaller Animals. Most of the effort will be taking care of the 16 acres of grounds, so come dressed for the yard. Gabriel Weinberg '01 is organizing this activity, and can provide more details; contact info is given below. Francisvale is an animal shelter that has been in continuous operation for 99 years, having been founded 111 years ago. 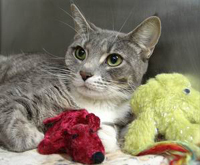 It's "mission is a no kill shelter, accepting adoptable cats and dogs, providing loving care while looking for permanent homes." The shelter is near the County Line SEPTA station (Norristown Line) and relatively close to the Villanova SEPTA station (R5). If you need to take this public transportation contact Gabriel for assistance in making the final leg to the site. Join your fellow young alums for free appetizers and good times with other alums. This event, sponsored by the MIT Club, welcomes young alums from other schools, as an Ivy Plus event. Cliff Choute '04 will host this Happy Hour at the Buffalo Billiards in Philadelphia. For more information, you may contact Cliff at choute@gmail.com or 617-312-3316. 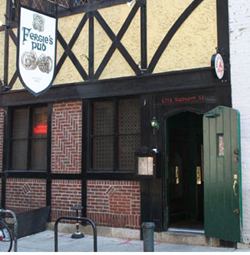 Join young alums from MIT and Harvard for good times and Quizo (trivia) at Fergie's in Philadelphia. There will be free appetizers starting at 8; Quizo starts at 9. Gabriel Weinberg '01 will host this Happy Hour. For more information, you may contact Gabriel at yegg@alum.mit.edu or 617-974-2456. Join fellow MIT and Harvard alums for a night of intellectual comedy on Friday, March 20. 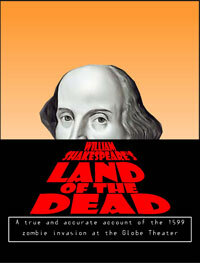 We will see "William Shakespeare's Land of the Dead", by John Heimbuch. This east coast premiere recounts William Shakespeare's fight against the undead in a zombie plague that spread to the Globe Playhouse in 1599. It combines the horror genre with meticulously researched characters and events from Shakespeare’s life. Contact: Mark Skandera at skan@alum.mit.edu, who will purchase tickets early in the week to receive a group discount. 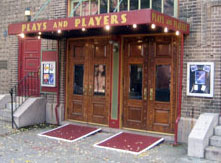 Play: 8:00 PM: "William Shakespeare's Land of the Dead"
No, it's not a happy hour. Yes, everything on the regular menu will be available as well. Please RSVP so we know you'll be joining us. See you there! 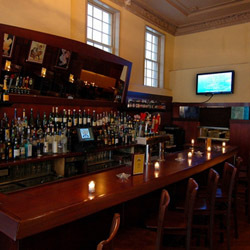 Join other Philadelphia-area MIT alums for drinks and snacks at the Tír na nÓg in Philadelphia, rated as the #4 greatest Irish bar in the U.S. We’ll be there starting at 5:30pm so come on over right after work and meet some other alumni! No signup needed, just stop by when you can! Free snacks, cash bar. Michael Menard, Class of '07, will host this gathering. For more information, you may contact Michael at michael.robert.menard@gmail.com. 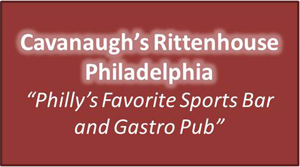 Join other Philadelphia-area MIT alums for drinks and snacks at Cavanaugh's Rittenhouse. We’ll be there starting at 5:30pm so come on over right after work and meet some other alumni! Join other Philadelphia-area MIT alums for drinks and snacks at The Black Sheep Pub. We’ll be there starting at 5:30pm so come on over right after work and meet some other alumni! 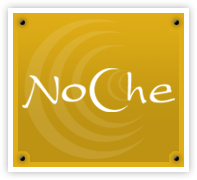 Join other Philadelphia-area MIT alums for drinks and snacks at NoChe. We’ll be there starting at 5:30pm so come on over right after work and meet some other alumni! Join other Philadelphia-area MIT alums for drinks and snacks at Public House. We’ll be there starting at 5:30pm so come on over right after work and meet some other alumni! No signup needed, just stop by when you can! Michael Menard, Class of '07, will host this gathering. For more information, you may contact Michael at michael.robert.menard@gmail.com.